Now if you're the swimming type, or if you just like dipping your toes in the water without getting the rest of you wet, you'll probably like to go to the lake, or the seaside, or the river rock-pool, or maybe Montolieu's very own municipal swimming pool - complete with its rather lovely little café, where they make excellent French fries by the poolside. The pool is a five minute walk from the lower part of the town, and is open all July and August. Next, let us tell you about the lake. 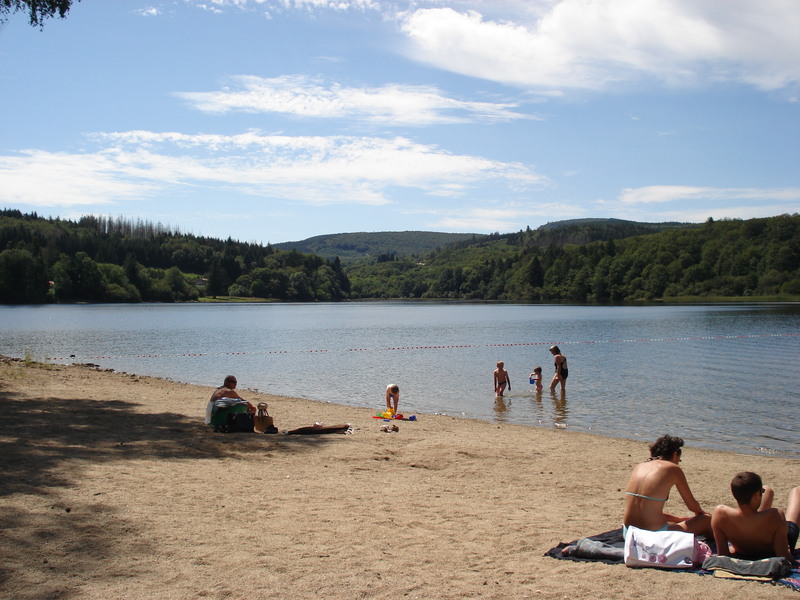 Lake Cavayere is only a twenty minute drive from Montolieu. It has a sandy beach, usually a café-van, lifeguards, and kayaks for hire during summer months - and is next to a 'Go-Ape' type establishment further around the nearby trail. It's just like being at the seaside, but closer. 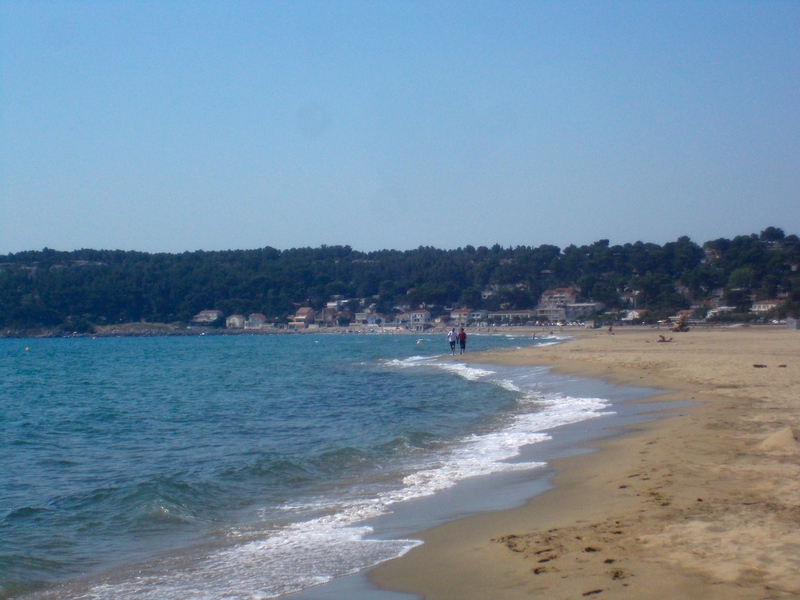 If you do want to go the distance and travel to the seaside, Narbonne Plage is the nearest - about 50 minutes away by car. In our humble opinions, we found it a tad bland and also quite windy at times, whereas if you venture 10 minutes further south along the autoroute, in the direction of Barcelona (a further couple of hours driving), you will come to our favourite beach - Leucate Plage, and more specifically La Franqui, with high cliffs in the background. 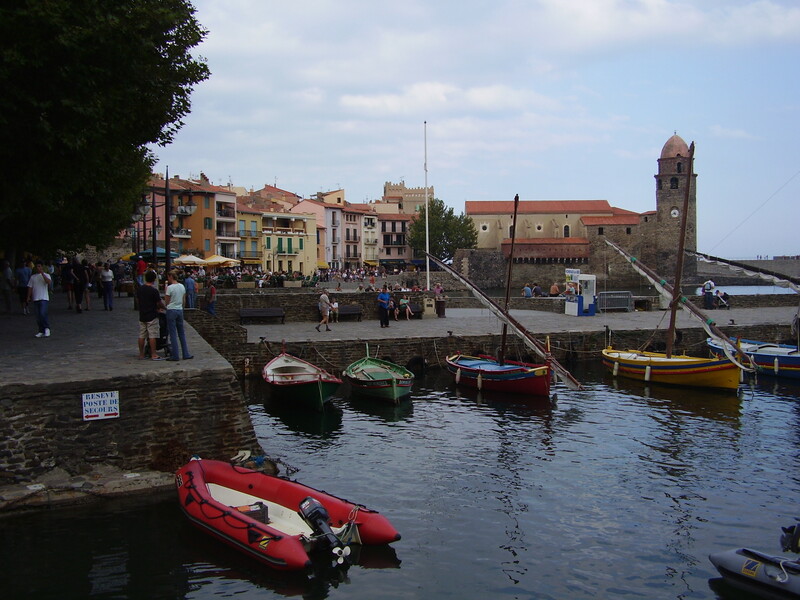 Further down the coast is the wonderful seaside town of Collioure - we urge you to check it out if you have time. 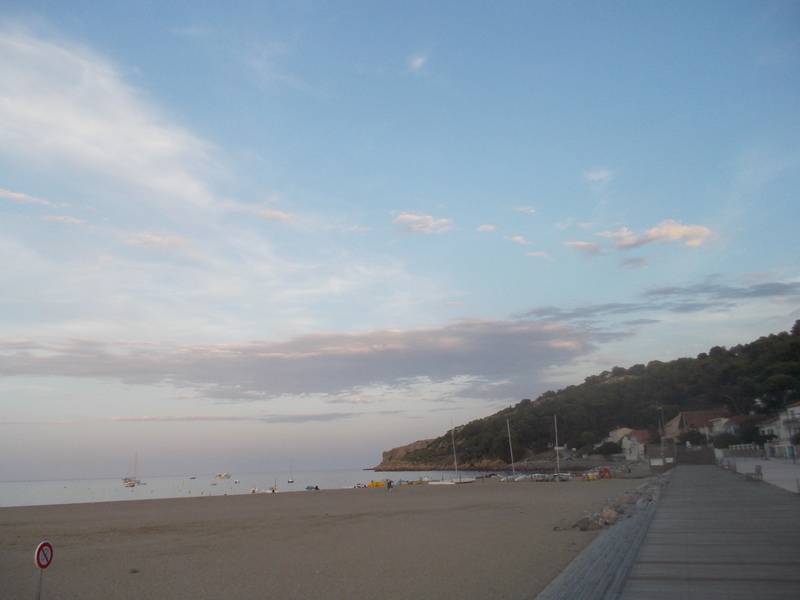 La Franqui hosts international windsurfing competition every April, and is (again, in our humble opinions) the best beach in France. 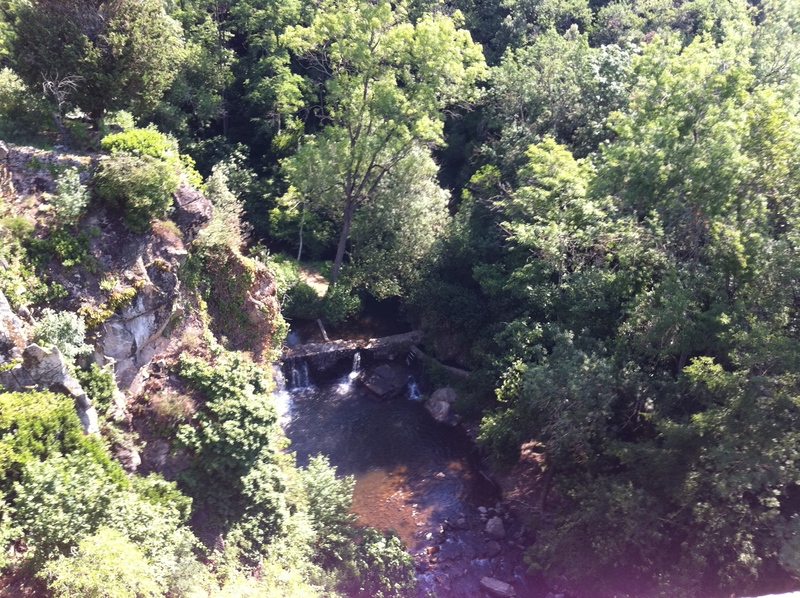 Remember in the INTRODUCTION when we told you that Montolieu is on a huge rock between two rivers? Well, if you're agile and adventurous enough to scramble down the path near the bridge at the top of our street (all of ten seconds away), you can walk, jump and crawl along the riverside until you come to a pool that's perfect for cooling down in on a hot summer's day. We dare you! Or go for a walk out of the village, turn left and come to the lovely Roman bridge. Make a short detour and have a swim in the river there. 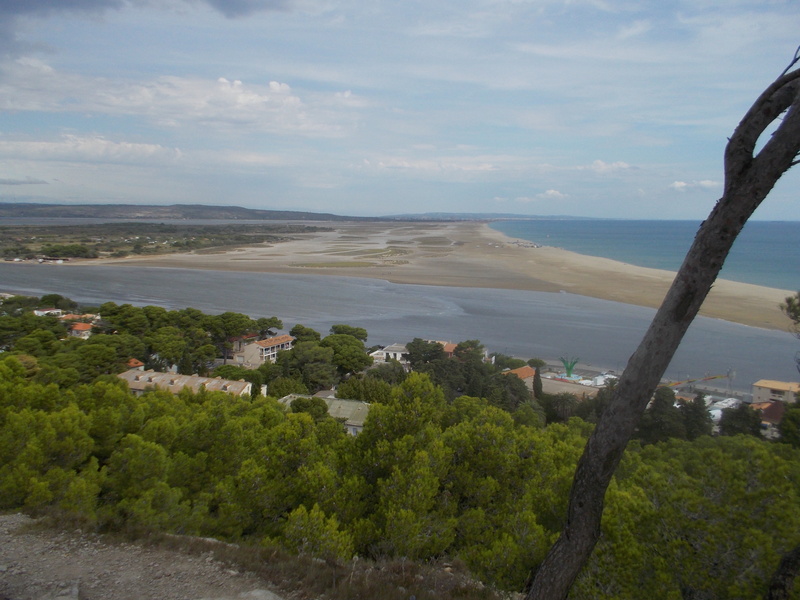 A short drive out of the village brings you to a number of lakes - more details in the apartment. The point is that if you do want to swim, paddle or just sunbathe - you can.